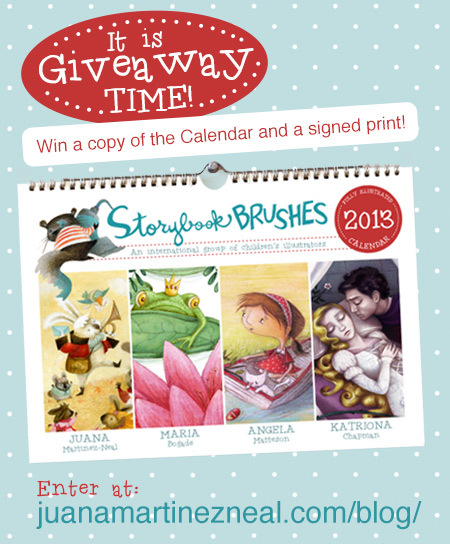 Now that I got my copies of the Storybook Brushes Calendar, I can hold the GIVEAWAY! Whoop! We are on our fourth and final week of the 2012 Series of Mini-Interviews. 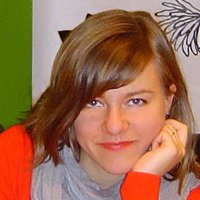 This week I close with an illustrator I admire and love: Constanze Von Kitzing. I have no recollection of how I found Constanze work. All I know is that as soon as I saw her work, I fell in love with it! Madly! Constanze is always surprising me with her compositions, textures and color choices. She paints like I dream of painting when I grow up. When it came time to choose my 4 illustrators for this year’s Series, I had to ask her. I had a feeling she would say yes. Sure enough, she agreed and now I have the immense pleasure to introduce you to the fascinating world and work of the German children’s author/illustrator Constanze Von Kitzing. Constanze has been drawing and painting ever since she was able to hold a pencil. She started off with countless images of pricesses and horses, then already showing great love for details and a subtle humor in her characters and scenes. The evening stories, read to her by her parents, inspired her so much that she decided to become a professional children’s book illustrator. A few months ago, I received an email from Maria Bogade inviting me to be part of a small group of children’s illustrators. The idea was to join forces and make quarterly mailers. Our first assignment? A fairy tale, 12-month calendar where each one of us would illustrate 3 months of the year. This is our third week of Mini-Interviews for 2012. 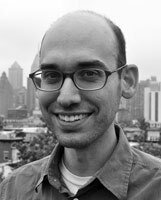 This week I have invited to my blog the author-illustrator Greg Pizzoli. I found Greg’s work on Twitter about 4 years ago. With my love to everything that is old-school printmaking, I fell in love with his work immediately. Greg’s sense of design and color are a punch to the eyes. His characters are fun and minimal without being too simple – a hard balance to accomplish successfully. So when it came time to pick my 4 guests for this year, Greg came to mind right away. He graciously agreed to the interview and now I am sharing all the info that he shared with me. Please enjoy, the Tuesday Mini-Interview with Greg Pizzoli. Greg Pizzoli is an author, illustrator and screen printer from Philadelphia. His first children’s book will be published by Disney*Hyperion Books in May of 2013. Greg’s work has been featured in Communication Arts, 3×3 Illustration Annuals; and he’s won two Portfolio Honor Awards from the Society of Children’s Book Writers and Illustrators. After college, Greg spent two years as a full-time volunteer in AmeriCORPS from 2005-2006. In 2009, he received his MFA from the University of the Arts in Philadelphia, where he now teaches. This is week number two of our Series of Mini-Interviews for 2012 and I have invited a fantastic friend and children’s illustrator: Amanda Shepherd. I never attempted that call again but I patiently waited for that moment when I would meet the Oh-so-talented Amanda. And it happened a few months later. Heck, we both were in Phoenix and there were only a few children’s illustrators in this city! Amanda is lovely, sweet and SUPER smart, and I admire her and her work. So it is with great, great pleasure that I introduce you to my friend, Amanda the Magnificent. She does magic in her work. Yes, she does… and to your delight, here she is to talk to us about her work and career. Originally from the Seattle area and most recently from Phoenix, Arizona, Amanda lives in Texas with her wildly creative husband, Garbo, and Polly the ‘baby hurricane cat’. It is fascinating to watch the influence of environment on her art first hand. From where she grew up in Seattle to Illinois to her beloved Phoenix… She loves being an artist. The places she have lived are a part of her. Each place is a history of experience that has an influence on her work. When something speaks to her, it comes out by memory on paper. Each artist sees differently. She sees differently and that is an extraordinary thing. 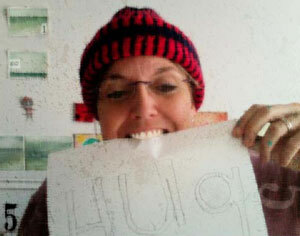 Today we are starting the Series of Mini-Interviews for 2012 and we are starting with a BANG! I have a very special guest in my blog, one of my favorite illustrators: the fantastic John Parra. I met John at the SCBWI Los Angeles Conference in 2010 – the year that he won the Golden Kite Award for Picture Book Illustration for his book “Gracias/Thanks”. I knew his work well and had already added “Gabriela” to my PB collection of Illustrators-Who-I-Admire. While at the Conference, we both attended a Saturday Multicultural break out session for writers. During the Q&A portion, I asked one question: how to find other Multicultural Children’s Illustrators? I got some great suggestions from panelists and attendees. A little later, the session was over and the day continued its course but later that night… I got to meet John. He remembered the question and introduced himself to offer his help. Oh, how I was star-struck! I looked at his face and his badge one, two, three times while we shook hands. The darker color banner reading “Faculty” should had confirmed my doubts but I had to ask: “Are you John Parra, THE Illustrator of “Gabriela”?” He was. I could hardly believe it. He was generous and helpful. I am glad I asked the wrong question at the wrong panel. Now a couple of years later, I’m asking him a few questions about his work and career. And, I get to share his answers and work with you. If you know his books and illustrations, enjoy! If you don’t know them yet, get ready for a treat! Now, with you the wonderful, John Parra. 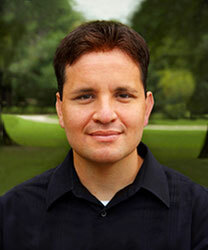 John Parra is an award-winning illustrator, designer, teacher, and fine art painter. He has received multiple awards and honors for his wonderfully illustrated, Latino themed, children’s books including: The Golden Kite Award from the Society of Children’s Book Writers and Illustrators (SCBWI), The Pura Belpré Honor’s Award from The American Library Association (ALA), The International Latin Award:Best Interior Children’s Book Illustrations from Latino Literary Now, and most recently The Christopher Award from The Christopher’s Inc. organization which annually salutes media (TV programming, feature films, books for adults and children) that “affirm the highest values of the human spirit.” Parra’s original artwork has also been showcased and displayed in numerous gallery shows and museum exhibitions throughout the United States and South America. He has taught at the Carnegie Art Museum in Oxnard, CA and now regularly speaks at schools and literary conferences across the country advocating art and reading education. It’s been an eventful weekend and even more eventful Monday. Sandy has behaved badly and deserves to be sent to the corner facing the wall. We are thinking of all our family and friends in CT, PA and NY. We hope they are all safe and warm. With Sandy in time-out, I have to go back to our schedule and the initial, planned purpose of this post: the Mini-Interviews will start next Tuesday here! We had the November Mini-Interviews last year, remember? This year we are back with more interviews, more guests, and more Q&A’s to fill your month of November. It’s been a couple of months now that we have been working on our 2012 Series of Mini-Interviews. All behind the scenes and stuff but FINALLY we can start telling you about them. One thing I have to admit, I am excited! Oh, New York! I’ve been there a couple of times but this time I fell completely in love with the city. While there, I attended SCBWI NY Conference. It was good and had a few personal highlights. Listening to Sophie Blackall on Friday was definitely one of them. Her presentation was moving, inspiring, personal and so very humbling. And thanks to my traveling and illustration buddy, Debra Pehrson Haun, I got to shake Sophie’s hand and tell her how much I love her work. Wee!